CP-Meiji Co., Ltd., the joint venture between Thailand’s Charoen Pokphand Group and Meiji Co., Ltd.—Japan’s market leader in pasteurized milk industry, has unveiled Meiji Start, a pasteurised milk drink with riceberry. This will likely mark the first use of riceberry by CP-Meiji in its dairy products. 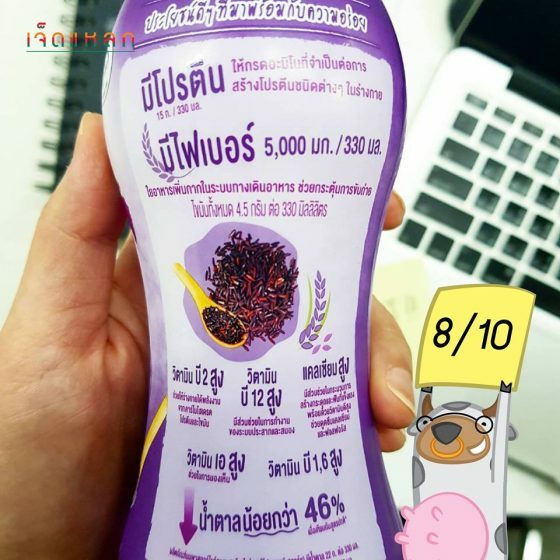 Rice berry was created by the Rice Science Center at Thailand’s Kasetsart University. According to Wikipedia, rice berry is a cross-breed of Jao Hom Nin (JHN), a local non-glutinous purple rice, and Khoa Dawk Mali 105 (hom mali rice). Meiji Start contains 5,000mg of fibre, 15g of protein per 330ml and 46% less sugar, thus gaining the Healthier Choice logo from the Minister of Public Health. 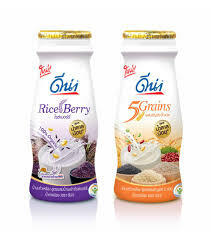 Competitor Dutch Mill previously launched its riceberry soymilk drink in 2017 under the DNA label. The soy bean milk range includes almond milk, corn milk and black sesame. Meiji Start is described by reviewers as healthy, energy giving, filling and a choice for people on a diet. Consumers also get the best nutrients from milk and riceberry. 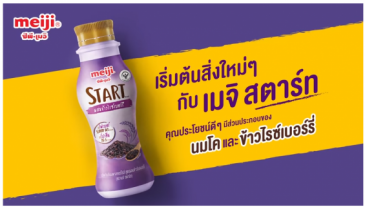 CP-Meiji is maximising the potential of the word “start” as the key theme in its marketing message to encourage consumers to start pursuing their dream. In the TVC, the lethargic dairy cow in the usual black and spots (ordinary) is compared against an extraordinary cow in purple. Purple is the rice of the colour of rice berry. This purple cow is a symbol of success. 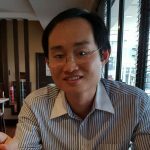 He is featured in In Talk (aka Ted Talk), is a co-founder, a famous photographer (cotographer), works in a co-working space, does cover music, appears to have a Korean girlfriend and seeks adventure. All these are symbols of success for young millennials. By consuming Meiji Start, the ordinary cow is transformed into the purple cow. The advertisement implies adding riceberry (purple) into the milk has made the milk extraordinary. Dairy companies are no longer limiting themselves to just dairy but is embracing plant-based protein eg rice berry, pea and almond in addition to soy as consumers are moving into non-animal source of protein.